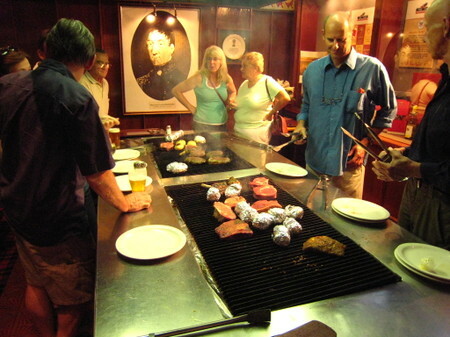 Picture: On of Australia's favorite past-time: grilling some serious piece of meat on the "barbie". 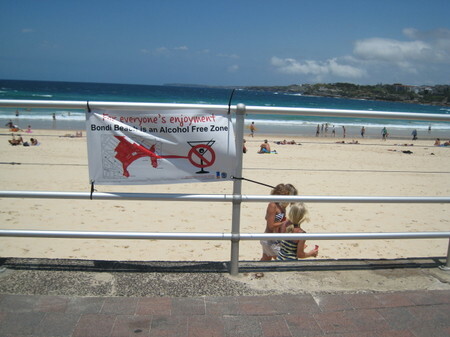 Australians pride themselves of their outdoor lifestyle and therefore a good barbeque is a must. Colloquially called a “barbie” a grill is essential for Aussies as they love to grill massive slabs of meat outdoors. 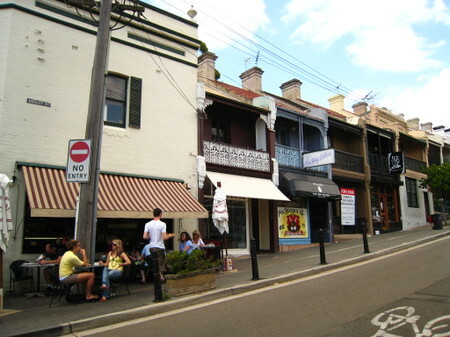 A pub/restaurant/hotel/casino called The Oaks in Neutral Bay, Sydney, boasts and indoor and outdoor barbie where every guest has to char-grill its own steak (favorably with a pint in its left hand). The restaurant has the atmosphere of a German beer-garden and an American campground is one of my favorite spots in Sydney. And as grilling is a typical male activity be not surprised to be handed the raw steak from your female guest to show your grilling-skills! Picture: A museum with a view. The café of the NSW Art Gallery in Sydney.
. The city also has a plethora of museums, some of them even with free entry. 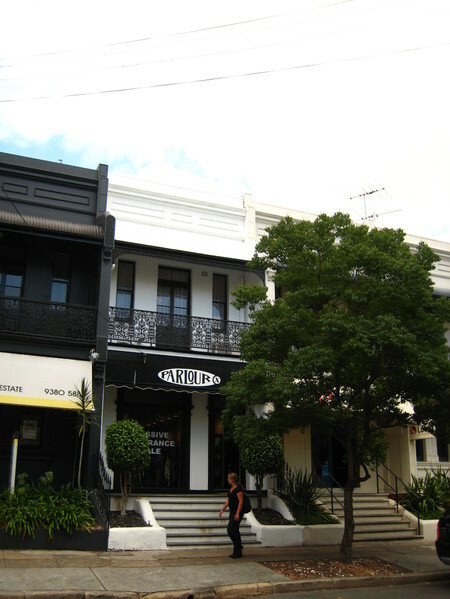 My favorite one for location and style is the NSW Art Gallery situated next to the Royal Botanical Garden (free entry). The meandering and enormous museum houses various collections from ancient Asian art to aboriginal art to contemporary Australian artists. At the same time it has a superb restaurant and café. 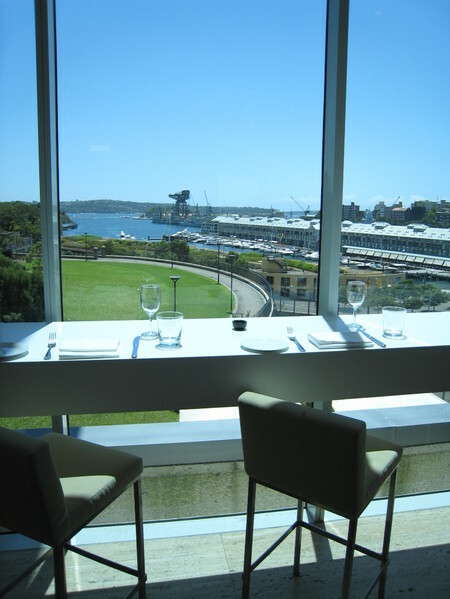 On circular key in the heart of Sydney the Museum of Contemporary Art (MCA) overlooks the harbor. It houses changing exhibitions from aboriginal art (currently Paddy Bedford) to video art (currently several videos from the Centre Pompidou in France are showed). This museum is also for free. Picture: the historic Hyde Park Museum - where thousand of deportees landed in Australia. The third museum I can recommend is the Hyde Park Barracks Museum. 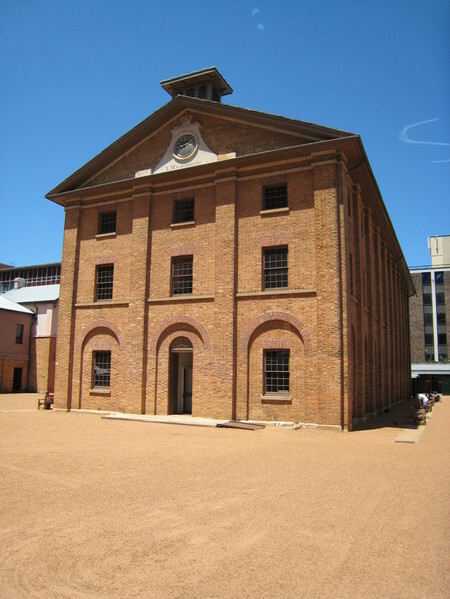 It is located in a historic building and shows the history of “transportation” (deportation) and the history of Australia and its convicts; a must-see for history-buffs. Furthermore there is an excellent Maritime Museums with several boats and the massive Powerhouse Museum for kids and adults alike. 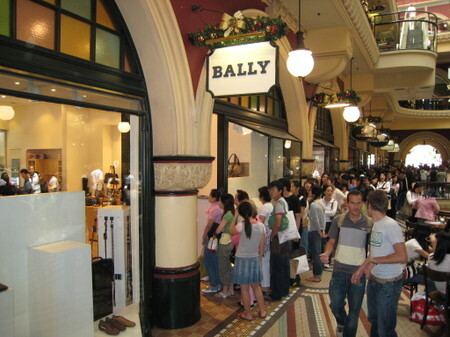 So should you seek relief from the heat or the rain, head to one of the many museums in Sydney and be amazed. 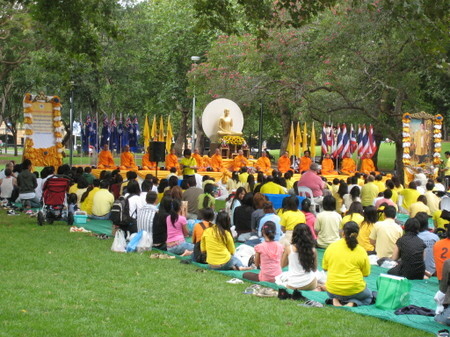 Picture: Thais celebrating in Sydney their King Bumiphol's birthday. I wish King Bumiphol of Thailand a belated Happy Birthday! 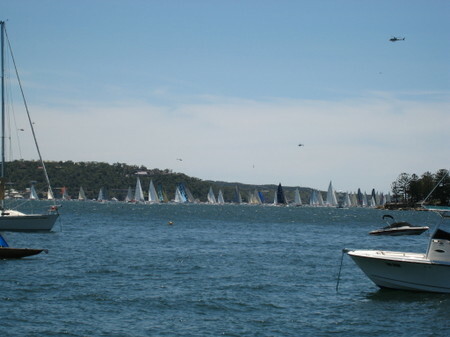 Picture: The start of the Sydney-Hobart Yacht Race in the Sydney Harbour. On the 26th of December once more the legendary Sydney Hobart Race started in Sydney Harbour. 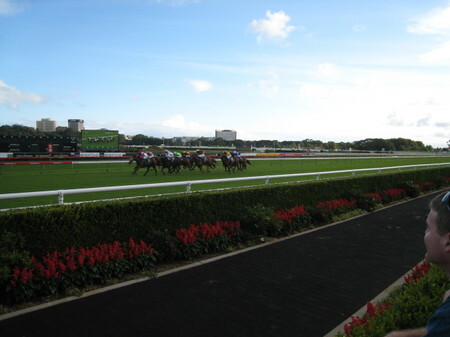 We got a good view from a friend’s house in Rose Bay when at 1.20pm a cannon shot marked the start of the race. 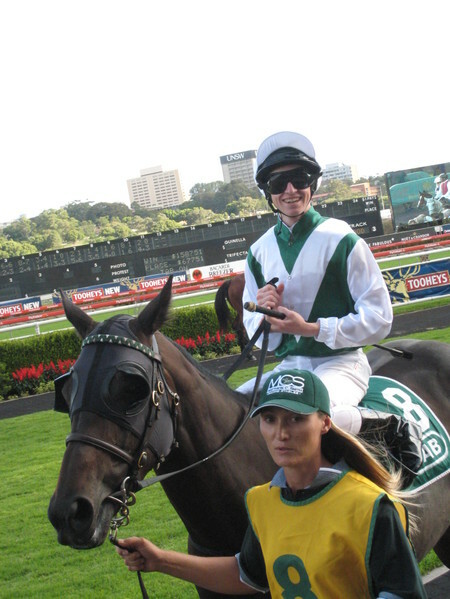 The now famous boat-race was founded in 1945 by the Cruising Club of Australia and the record to cross the rough and unpredictable Bass Straits to Tasman Island stands at 1 day, 18 hours and 40 minutes. Normally the various boats from super-size maxi yacht to tiny vintage boat take three days. This year the water was especially choppy, one boat sinking and two maxi yachts loosing their masts. Over eight yachts gave up. So good luck mate, you will need it! First to say Happy New Year! 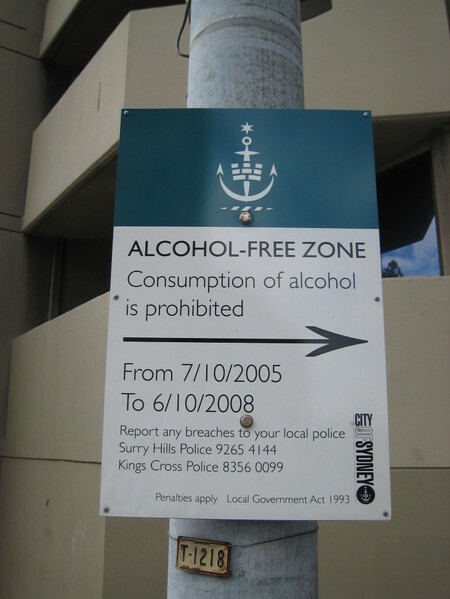 I wish everyone a very Happy New Year 2007 from Down Under! 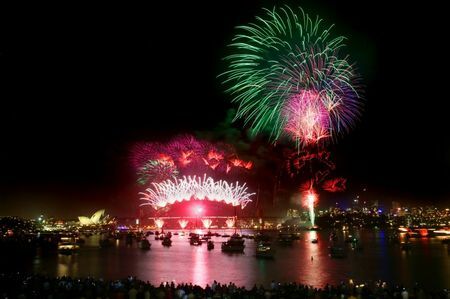 I watched with friends in Sydney an absolutely amazing firework launched from four ships, five skyscrapers and the prominent Harbour Bridge. And I hope you experienced a wonderful celebration of the New Year!